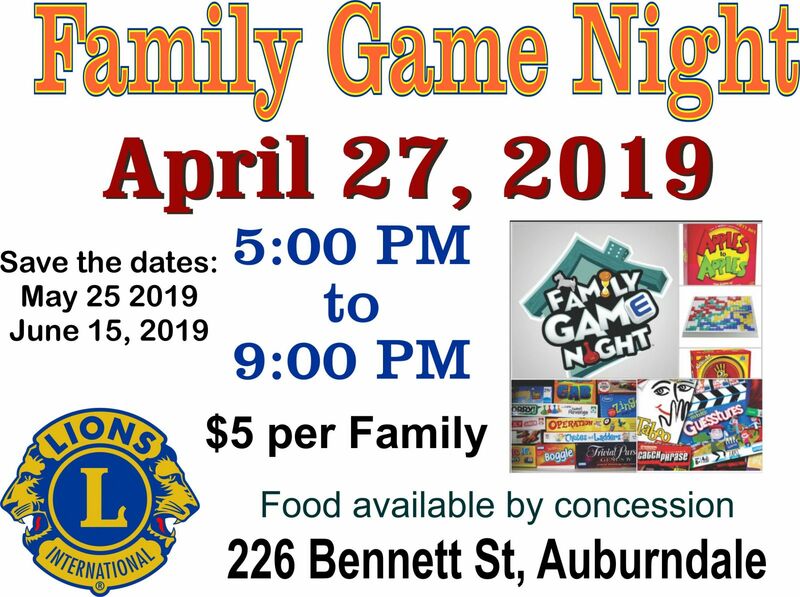 Come Join us for a fun night of games for all the family from 5:00 PM to 9:00PM at the Auburndale-Polk County Lions Club at 226 Bennett St, Auburndale. We will have many various games for all ages to play. We will have drinks available to purchase and will supply some light snacks, so come and have some good fun at our Family Games Night.